These jeans are sure to elevate any look doll. 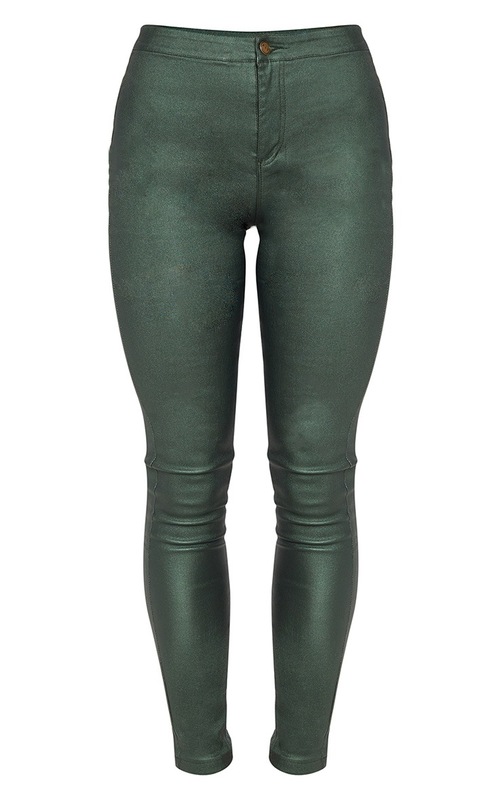 Featuring a khaki coated denim fabric with a button fastening and figure-skimming fit, what's not to love? Style with a slogan tee and complete this on trend look with barely there heels and a trench coat.